This quiet garden community offers the all the comforts of home while being ideally located. While living at Casa Madrid, you will receive all the personalized attention you deserve from our friendly on-site managers. Conveniently located by shopping, dining and much more. Beautiful surroundings, convenient and quiet location. The Third Avenue Village Certified Farmers' Market operates every Thursday at Third Avenue and Center Street. The Market offers visitors local produce, organically grown produce, and seasonal produce all directly from local farmers. From 3:00 pm - 7:00 pm. Summer Movies in the Park is a perfect chance to relax and enjoy a safe and special night under the stars. Come early and get a good seat! The Summer Movies in the Park event series began in 2007 as a ‘take back our parks’ initiative, giving local residents a reason to visit their local county and city parks for a free and safe evening event. This well-attended community activity deterred inappropriate after-hours park use and loitering and gave residents an opportunity to feel safe in their local park, thus encouraging future visits. No Vacancies at this time. 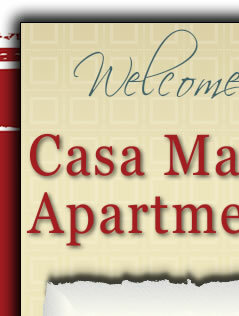 If you are interested in moving to Casa Madrid Apts. please email or call us at 619-426-0062 and we can add you to our waitlist. To be added to the waitlist you must qualify under our guidelines. No moving Special. We offer newly remodeled and affordable Apartments homes. We have the best value in Chula Vista !! !